It’s gorgeous; it’s modern farmhouse; it’s the Houston narrow chest. 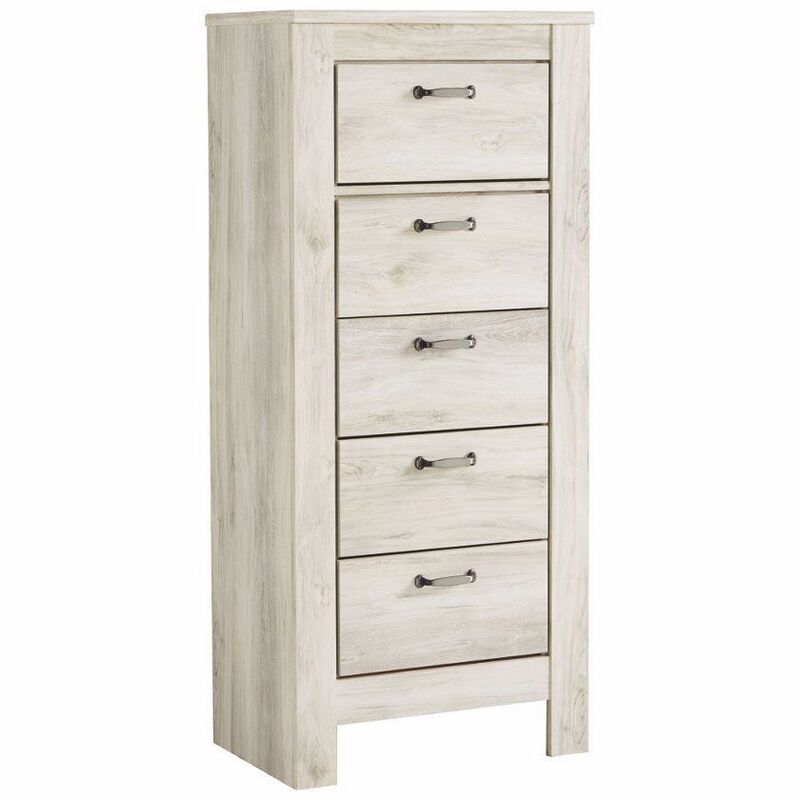 The wispy, whitewash palette sweeps over the drawers and top without covering the grain for that weathered, rustic look you crave. Drawers have side roller glides and are lined with faux linen laminate for added clean-lined appeal. Brushed nickel hardware wraps the aesthetic together in a shiny bow, so you can organize and stylize your clothes and essentials effortlessly.